Dragon City Players is one of the larger and better run Facebook groups. This is the first Dragon City group I joined on Facebook. Friendly and helpful, very active, well moderated. The group has current Add Me and App On/Off polls to help you find friends and get all the Recruitment Tavern dragons. Dragon City Corner is home of Aeclypze Owl’s Breeding Cards, and is friendly and well moderated. They have dedicated posts for adding friends and for helping with the Recruitment Tavern. Dragon City Drachen Fans is a German language group for Dragon City fans. Dragon City Fusion Francophone is a French language Dragon City group. The Swinging Towers is a new Dragon City group with lots of friendly help! Unicos Dragon City is a helpful Spanish Language Dragon City group! Hi DC friends!!! due to an synchronization error, I lost my all dragoncity friends…please can you add me again? and new people feel free to add me..
Add me. Active, new, and always growing player looking to help out my neighbors. Can’t seem to get anything!!! Without friends! Add Me please, new but very active player. Hi dragon city players, add me so that we can help each other in the game. Please add me as a friend so that I can progress in the game. Dragon city Cheat GOT 9999999 GOLD,FOOD AND GEMS 100% Working try now! Need new neighbors? Feel free to add me. im interested in dragon city friends, i wont invite you to anything, but drago ctiy stuff, i wont visit or post in any way, but dragon city only. Interested? if you can do the same for me, you wont regret it. Add me ! Im online daily! hey guys feel free to add me and ill see you there. I’m on Google play or Facebook, michaelgirlz3 please add me & I’ll add you as well! Please add me as a friend…. Please add me!!!!! I really really need more friends to help me with dragon city! Thank you!!!! Miren lo que encontre un hack que esta funcionando… pude sacar las gemas en pocos minutos y es facil de hacer… entren ahora antes de que no funcione..
Add me on fb or on Game Center on iOS, user name is Hattielou33. Can someone tell me how to add Neighbours? HackClick.com is the site which provides you the best & updated support for Facebook games. Please add me. I’m a daily player. Hi plz add me in Dragon City need too muc help. Thx. I just started playing dragon city so need some neighbors. Plz add me. Add me, I’m level 51daily player. Add me plz but message me first that u play dragon city. Need Dragon City friends. Please send message stating you play first or you wont be added. I’m new to Dragon City, please add me as I value the help! Awesome ! 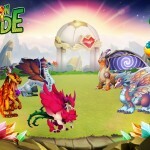 http://goo.gl/9Yw3Oq Or http://goo.gl/NZfFdd All Free Dragon City GOLD , GEMS , FOOD , … Working 100% try it now ! Add Me I need as many friends as possible. Add me please! Daily player, currently level 32. I need to know how to get my game center friends who play dragon city to show up on friends within the game. Any tips please. I have a lot of friends playing through Game Center but they are not on my list and they are not my fb friend. You can add me if you wish! I need alot of new neighbor’s on my dragon city can people please add me. add me please, level 24 almost level 25 need more neighbors for that sweet Dragon market! Anybody playing dragon city please feel free to add me. I could really use the help. I play daily or at least every other day. I’ve got all breedable dragons, and in ancient world too, only my islands keep producing platinum, because i’ve leveled max level all my ancient dragons. So, this is pretty boring. What to do with that? And the game is so overcomed…why crearors don’t open breeding for all dragons people are missing? second battle sixth fight where you are reqired to use Electric Dragn, my second attack — FREEZES MY WHOLE COMPUTER !!! How do I add people?!? I need a few more neighbors. Ik zou graag wat nieuwe buren willen hebben voor Dagon City. Add me please x none of my friends are currently on dragon city! Could you add me too? I really neeed the help. I need friends for dragon city please! add me active aall the time and send gifts and helps out! Looking for friends, add me please. how do i add someone? plz add me folks. need market help. ill help you! add me, I could use some Dragon City friends. Hello, I play Dragon City on a daily basis. Please add me. Thank you. Looking for Dragon City neighbors, Won’t you be my neighbor? Add me please. Add me, daily player, 24/7. Always on Dragon Market! Started playing Dragon City and would love to gain some friends for the app- add me? I’m looking for more Dragon City friends. Anyone interested? I play on my iPhone. Do I have to add people through Facebook to add them as friends in the game? Please add me. I am a daily player. I will accept all request and send gift daily. Hi everyone, Im hoping someone can help me. I had a Dragon City account where I was automatically logged in with my gaming user id. When I tried to connect to Facebook everything was lost. As I loved the game I started again & have built my city and collected lots of dragons / food / habitats etc. in order to get the most out of the game I need to connect to Facebook friends, but I’m scared that if I do all will be lost again. I contacted social point the first time but didn’t get things resolved. Has anyone heard of this before? Do you have any advice? This is a new account for Dragon City so please feel free to add me – I play daily and hopefully will have Facebook integrated soon… HOPEFULLY!! Question here. Why doesn’t the help from friends visits register? I have visited and helped many friends and have had many visits in return but on close observation i have noticed that the 10 XP or 10 FOOD does not really show up. Add me for Dragon City…..
Hello i need friends for dragon city to unlock island. Post and i will send you request thanks. Add me for Dragon City. I Play daily (at least). Hi, this is strictly a gaming profile. Add me pls!!! add me i’ll help you with anything u ask! I think we have to add each other on Facebook. But I looked up two of you and needed more than a name. I’m Julie Howell Leitchfield, Ky 42754. Please add me to your neighbors list!!!! Need neighbors please. Is anyone else having trouble on the magic forest? it won’t count anything I collect except here and there like only once or twice a day and I’m on there constantly it seems. How do you add friends? Please add me. I am a level 46 and play several times daily. Please add me. I play daily. Looking for dragon city friends. Daily player. I also play Monster Legends. Looking for neighbors, please add me. My friend list is blocked how do i change it? add me, please ignore the name this profile was randomly created for the purpose of using Profile Pictures for PS4 and facebook games. My friend doesn’t seem to get her friends from fb linked to her dragon city does anyone know why? Please add me. New player. adding everyone here- daily player, i need neighbors to get more island space! Active daily player, and would welcome new DC friends. Please add so we can both have more friends for Dragon City ! Add me! I get on daily! Hello. Please add me. Need friends. Daily player. Thanks. I have no dragon city neighbors, please add me. Hi! I’m a new active player in need of some neighbors. I’m good at swinging by and using my assissts! Please feel free to send a friend request! I’m in serious need of some Facebook friends who are actively playing Dragon City like me so please add me up & let’s have some good old gaming fun!!! Daily Player, Feel Free To Add Me For Dragon City! Add me for dragon city! ADD ME PLEASE DAILY PLAYER!! add me – i play all freakin’ day! just started playing. add me guys! Some extra neighbours would be marvellous right now! Add me for Dragon City please. Thanks! Hi , for some reason i my FB friends are not shown on my dragon city community…. any suggestions how to fix it? How do you add someone? and do they have to be your fb friend to add them on DC? How do I add friends on Dragon City? Please add me and I will add you back. Looking for Dragon City players only as I need to level up and beat my young son at this game. Hi all. I need dragon city friends. Please add me. hey guys! if you wouldnt mind adding me, ive just started playing this game and im already hooked! How do you get friends? hello everyone.. add me please ..
Any Dragon City players, please add me! Would love more active players on my friends list. Dragon city friends needed pls help! How can I get friends that DON’T play Dragon City but who WOULD LIKE to play Dragon City? All my friends either already play or have made it clear they don’t want to play. I have no one to recruit and no one to send invitations to. Any suggestions would be appreciated. Need friends for dragon city! Add me, please? please add me guys 🙂 willing to help out too. Why to you go to friends base and clear bolts? I’ve had a problem with friends not showing on dragon city. I have about 500 friends and they used to show for challenges, rankings and recruitment tavern but now only 65 friends show? Also when I try to share on facebook I am told a link may be unsafe and asked to complete a security test. Ideas? How do I send invite? Whoever adds me will get a free gift to Dragon City! Add me please. I am in need of dragon city friends. I play lot of times daily. Thank you very much. Add me please. Thanks very much. How do we add neighbours? add me too. I want to buy land but I can’t without neighbors. I have 15 facebook account so I can give you more food more gold and more eggs. You want to have them all ? Hello Dragon City friends, I am wondering how to add new friends as it would be fun if my game could advance further, achieve new goals etc. If you can help me out it would be great if you would add me otherwise let me know what I can do to have additional friends? I play 2 or 3 times everyday. I go add you for all my account’s. Hello everybody, I’m new to this friend adding thing lol so plz add me? I’m at lvl 32 and play DC (almost all day long lol), every day…I my ‘s! I play everyday. Add me! Tomorrow you have all 15 account. I go add you for the 15 account’s to. Add me! I play every day and I’ll send you stuff! if you want i add you for the 15 accounts more i have. All real accounts from myself. i still have more space to add friends for dragon city who ??? I not see you or can not find you in facebook. Add me and i send you the accounts please. Please add me! i need help on m’y recruitment tavern! I can add you for 15 accounts more if that’s oke with you. If you have friends tell your friends. I add you in 15 accounts more. I go add you in 15 accounts more. oke you have 15 players more now have fun in the game. where are all the people who needs more friend and 15 more accounts in dragon city ? I give you 15 friends more. Come on not be scared. I want to ask if you can add me as friend in dragon city. I can give you when added 15 more account for friends. do not hesitate to add me. I not lie about the acount’s. Who can add me in dragon city. Looking for dragon city friends. I gift and play daily! Add me please, just starting a new Dragon City game soon. Add me, party people! I just got the tavern and all that but I’m an experienced player. Just got into the Facebook aspect of it all. Hi guys. Avid player here. More friends the better I always say. I need some friends in Dragon City so can you add me? Please help I need Dragon city friends, add me!!!! could use some more dragon city friends! add me! Hi, I need some more friends on Dragon City. I need to expand but do not have enough neighbors. Sure would appreciate help. Thank You. Sorry another question lol I am only on level 18 , no sanctuary but I keep reading if I bread my soccer,with gummy, gummy cool fire and so on I can get a wind or crystal or legend dragon, it hasn’t happened yet but does it matter because im only lev 18 my dragons are all lvl 10. If I keep going will I get a wind or legand dragon. I am also trying to make Dark or metal and cant seem to figure it out. hey guys Im confused I hope you can all help me, I keep seeing the breeding charts everywhere it tells you how to make these great dragons but what is not clear is in order to make the legond you need the pure, or what I need to know is what dragons do you need to make to make a pure dragon. I have some good dragons I think. Help please. hey guys Would appreciate more friends for the game, The wife got me addicted lol So I would appreciate more guy friends please! Its a win win I send gifts too. I have reached level 38 and purchased the 5th island a long time ago but still cannot place anything there! I am out of room and can’t go any where else with the game without being able to use this island! It is the dark and purple one. Can anyone help me please? Much thanks!! my friends cant see me in their dragon city friends.. why? Looking for Dragon City friends! Please send request! Please add me. I play daily. Thank you. Al Green Here. Add me so we can get bigger and better at Dragon City. Please add me….I have been playing a few weeks and I LOVE this game. I am level 19 & play every (ALL) day 😀 It’s just so much more fun with neighbors, and..oh yeah…more productive! I play on my IPad. Add me, Daily Player – no Spamming. Add me if you need new friends. Retired – so I play several times a day almost everyday. Please add me. Daily player here! Add me! Add Me Please, High Level Daily Player. Thanks !!! you can add me too. Add Me Please!!! Need more friends to play Dragon City. I play daily. Add Me Please, High Level Daily Player !!! Thanks !!! Agrégame Por Favor, Jugador Diario de Nivel Alto !!! Gracias !!! looking for lots of friends for Dragon City. I play daily and help everyone. Please add me! Looking for Dragon City Friends – Please consider adding me! U can add me if u play dragon city. I am a level 99 player. On alot, too much really. Please add me on fb. Cheers. Add me on fb, I wouldn’t mind more DC friends. Active player. Need other active players that accept jobs frequently. Add me plz! Thank you! Add me…need more friends to play Dragon City. I play daily. New at Dragon City. Just need a few more friends to open new islands. Thanks! Please be a friend.Thank you. Love to have more players. Please add. Can non-Facebook players friend Facebook players and vice-versa? Need Players add me please. Feel free to add me, play daily. Almost nonstop. 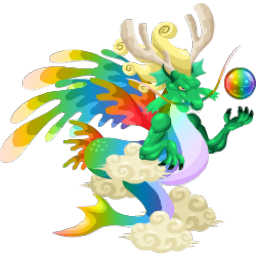 You can breed the dandelion dragon by breedind the ice dragon and nature dragon. New to game .Please add me to learn from you tips,plus get advise,and show me how to use the tavern.i love this game! Thank you. Add me please. I play all the time and give tons of gifts. Anyone want to add me 🙂 I just got into the game. Its pretty fun. Hi, I just started playing not to long ago, I play everyday and I really need friends! Please add me……?! New to the game lvl 14 and started 2 das ago I send gift and visit neighbors everyday add me please need others that enjoy the game. Add me 🙂 use account only for DC I play daily!! Plz add me…need way more people..lol..to get the secrets..
guys. love love love yah!! Please add me. Play D.C. daily, several times a day. Need more neighbors. Send friend request. I really need some neighbors. Could someone show me? This is really cool… Please add me. In need of neighbors! Add me please. Add me bcous i want to big my dragon city world pls..
Add me on Dragon City please! I send gifts, just send some back lol Thanks! To add a friend, simply click on their name. It will take you to fb, then just click the add friend button…so add me! when I try to expand it wont let me how do I own another island how do I complete the one I already have help ?!?! I don’t know how to get neighbors…little help? Add me please as well!!! Dragon City Add me ! I need more neighbors please! ♡♥♡ Add me! I need more neighbours who play often. PLEASE add me on Dragon City & Monster Legends EVERYBODY!!! !!! !!! add me please i play a lot and will except all help request when u need something. hi friends! please add me . i play dragon city regularly and i am at 51 level in dragon city. could also use some friends to help me out with this game add me thanks! I could use a few friends. I am just getting started. I play daily. I could use a few friends in Dragon City? I am just getting started. I play daily. I PLAY DAILY . PLEASE ADD ME. hi friends,,plz add me..i am an active player..send free gifts..
Add me please. I only use this account for dragon city because my children like to play it. They play every day and need neighbors to keep playing. I need more friends to expand my territories. Dragon City Worldwide is a great FRee of Hackers Group !! more than 6000 friends in less than 3 months !! a really active group. If you need a neighbor add me… I like playing Dragon City!!! Add me….. I play everyday. If you need DC neighbors add me I am always playing. Hello everyone, please add me it would be awesome!! Add me plz I’m an active player ! I need new friends, I’m a daily player, add me! I have been playing for only a week and have one friend. I play everyday. add me too, all players !!! Just ADD me DC ! Need help opening the Recruitment Tavern. Any help will be greatly appreciated. some kind of clitch? It of course does not fight and I have to get off, and I can not pass the level. any suggestions? Dragon city on Facebook.. please add me!!! Send me a msg saying dragon city on Facebook and I will add you! Add please, im active and always help out! I play daily and am very good at responding to requests and gift giving. I play on Facebook. Thank you. Can someone help me to open the Magic Temple please? I need more friends I send found and gold and other gifts all of the time. send me request, I am blocked…. I need neighbours..
add me please, I’m young and new player but I can help something. Please add me. I need more active players. Thanks!!! I’d like to add and help others, i just don’t know how, can anyone help? Add me, I’m a Old Master Player. I was the first person to understand how all the system worked for breeding! add me i play EVERYDAY!!! add me I am a daily player~! Hi, please add me. I need a friend to be magic maker, I play daily. Daily player. . .please add me…sending gifts!!! daily player, pls add me. Add me active daily player. Would love to be added to any and all dragon city lovers. add me as a friend in fb.. Please add me. I need new friends. I play once to twice a day. add me for dragon market please. will rtf. Please add me, i need friends who can accept my requests as workers on the tavern or to open my habitats. I am a very good neighbour. daily player . add me guys . Add me, I play daily. I seek Dragon City neighbors/friends as well! I need neighbors:(. I love this game but the amount of FB friends I have that play is 0! Please be my neighbor? add me daily player and always respond to requests quickly!! add me! i play daily! Add Me………..Dragon City Players Dudes………. I’m level 25 now but I’m stuck in Combat World against a lev26 player with legendary and pure dragons…. How do you get such dragons at my level? I also need some more neighbours….. players those who play dragon city please add me………. I am a Dragon City Player and I just want everyone asking to be added to understand why a lot of people are hesitant to just add! If you get a request to be added you can NOT answer the question (do you know this person)! If you say no or even yes this can cause the requesting party to be blocked by FB. If you don’t answer the request to be added at all, FB can Block. I have already been in FB jail for this. Follow Joseph advice and join a group. They post instructions on how to request and add neighbors. Everyone in the group will feel better about adding you! FYI: Minors don’t ever have a private chat with people you don’t know: a lot of weirdo’s out there! Good Luck and thank you Joseph for all your constant hard work! Please add me, I’ll assist you every time. Thanx for the great site! I always begin and most often end my searches here 😀 ! Thanx too for this list of groups.! We play with my son and are looking for new neighbours to add us! Add me i play every days!!! Hello, I’m a daily player. Please add me, I will accept you. All of my dragons are at lvl 10 or above I see in the breeding guide requiring some dragons to be at 7 & 8 respectively, will my dragons still get the same results with higher levels? I love the breeding calculator! add me as well. can dragon city be 4 android? I am a daily player, usually 15+ hours…please, always looking for new players! I always accept jobs and send eggs and gifts. Thanks in advance, and have a great day! love your page..you have helped me in more ways than anyone could. Could you add me please…thanks, Georgia Peters. need some new neighbors…. add me please 🙂 Thanks for all the info! It’s been a great help! Love the breeding calculator. I’ve only been playing a short time. Am at level 30. Is there another place to get more friends/neighbors?? Ich such dringend nachbarn wer hilft mir.